After dominating the British scene in 2013, Hannah Barnes will test herself across the Atlantic next year after securing a ride with the American UnitedHealthcare team. Barnes will be linking up with compatriots Sharon Laws and DS Rachel Heal at the new US-based squad, and will move from Northamptonshire to North Carolina. The 20-year-old rider enjoyed success throughout this season, particularly in criteriums, and happily, the USA has a thriving circuit race scene. In particular, there is the 16-round, season-long National Criterium Calendar which includes high-profile events in Las Vegas and Boston. Barnes found out about her new direction in September, but despite her impressive palmarès, admitted that she was unsure whether or not she would land a big move. “Everyone was saying to me that I deserved a pro contract, but until you actually get an offer, it’s an uncertain time for you,” said Barnes. Barnes’s visit to Arizona for the team’s training camp at the start of December will be her first trip outside Europe, and she will permanently relocate to the USA in January. 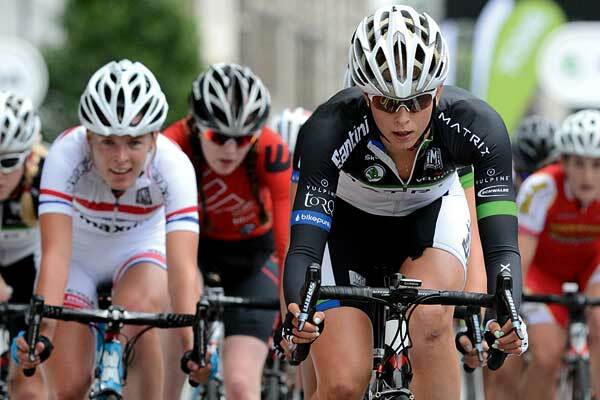 Despite the predominantly American-focused schedule, UHC are hoping to occasionally ride in Europe, with Barnes hopeful that they will be selected for the Women’s Tour in Britain next May. “It starts in my home county [of Northamptonshire], so it’s one race I really hope we get to ride – especially if that first day is flat, too,” she said. “I had heard about the racing over there and any pictures of it I’d seen looked great. I think the racing scene in American suits all-rounders. Yes, there’s a big crit scene out there, but they put on a lot of stage races, too. “There’s the National Racing Calendar series and that’s really tough. If you’re an all-rounder you’ll do well, as will climbers. There are races like the Tour of the Gila, in New Mexico, which takes place at altitude and has some crazy climbs. There’s the Cascade [Cycling Classic] in Oregon, too, which also has some long climbs. “You can get out there and get on a pro team, they will really look after you. Even if that’s as far as you want to go, being based in the USA means you can have a really great career. “It’s hard for the riders based over there for the majority of the year to come back to Europe, because the racing is so different. It’s more aggressive in the USA, so I think they find it quite a shock [coming back]. It’s difficult to make the transition, especially with the smaller size of the roads and the peloton.